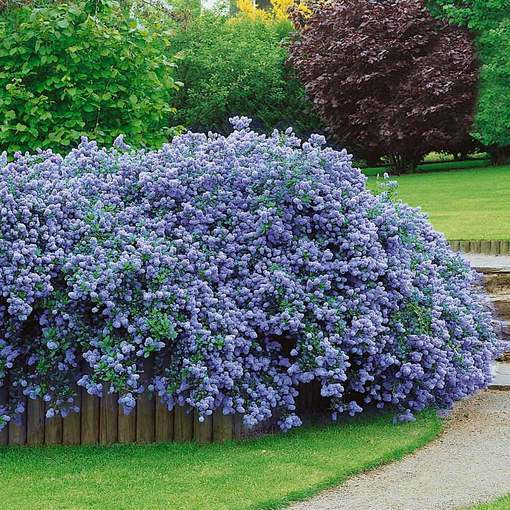 This fantastic award winning shrub, often called the creeping blue blossom is a must have dwarf variety. 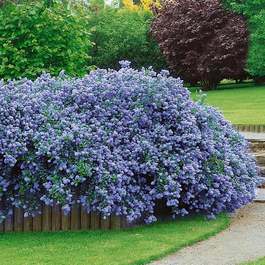 Beautiful in its simplicity, its rich glossy green leaves nestle amongst sky blue florescence comprising of densely compact panicles that burst in to bloom like tiny fireworks in spring and early summer. It's an evergreen variety with a spreading, cascading habit reaching a height of just 1m. 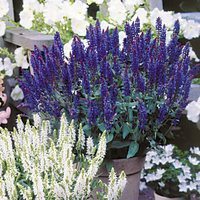 Holds the Royal Horticultural Society's Award of Garden Merit for its reliable performance, stability of colour and form, and good resistance to pests and diseases. 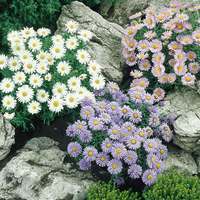 Excellent ground cover and ideal for pots on the patio, will grow taller if planted against a wall. 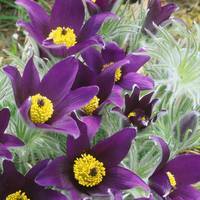 For best results grow in well- drained soil, sheltered in full sun and lightly prune after flowering. 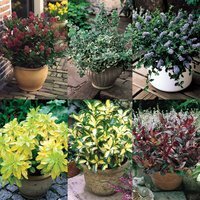 15-20cm plants supplied in 9cm pots. 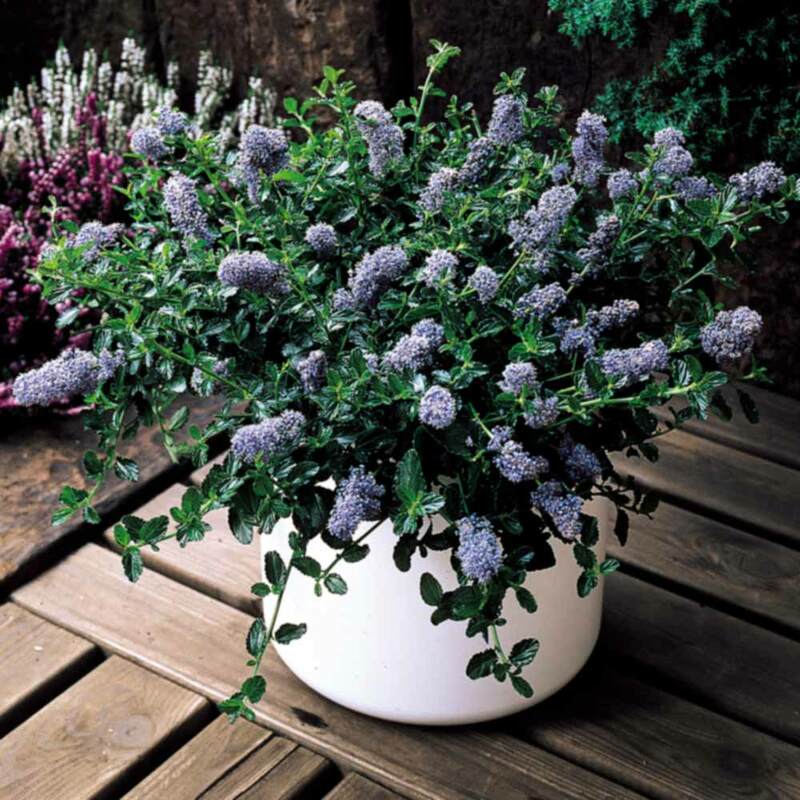 Ceanothus are suitable for growing in most types of soil, provided it is well drained and relatively fertile. Should be planted in areas with plenty of access to sun. When selecting a place to plant you should take some precaution to ensure there will be some protection from strong winds, as they may limit growth potential. 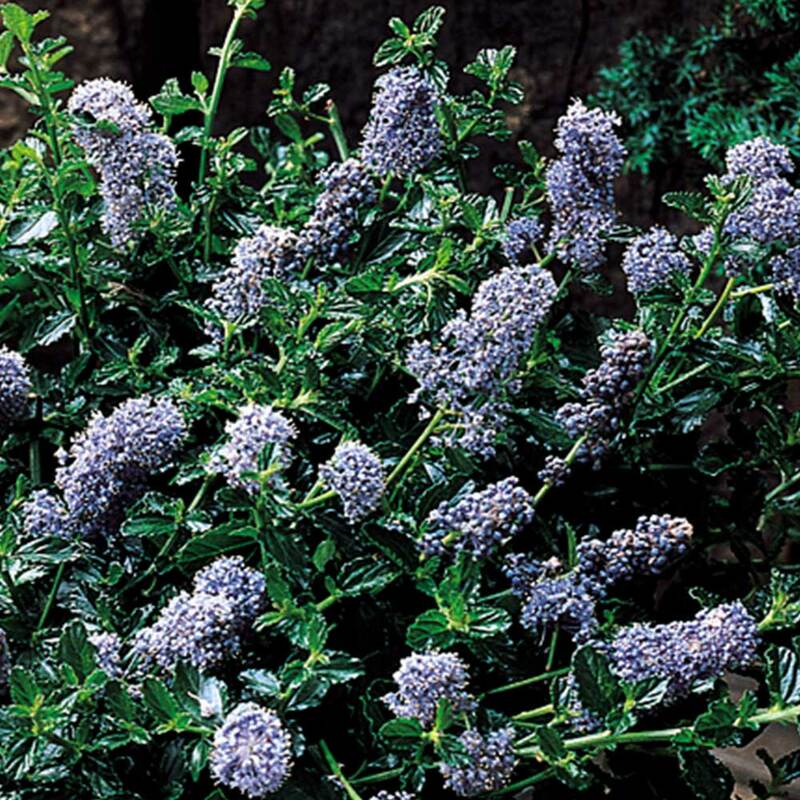 Can be pruned back lightly after flowering each year, and water regularly.